Afraid of missing out on the latest photo industry news while you’re out, well, actually taking pictures? Photo FOMO is all the news you might have missed this week, published on the weekends. Alongside the biggest stories of the week, like Photoshop’s upcoming advanced Content-Aware Fill, Adobe Premiere Pro’s AI audio clean-up, and Aurora HDR’s latest update, find briefs on the latest in accessories and photo industry news from this week with Photo FOMO. The Manfrotto Befree is a popular travel tripod option, but now the line allows photographers to skip packing a monopod too. 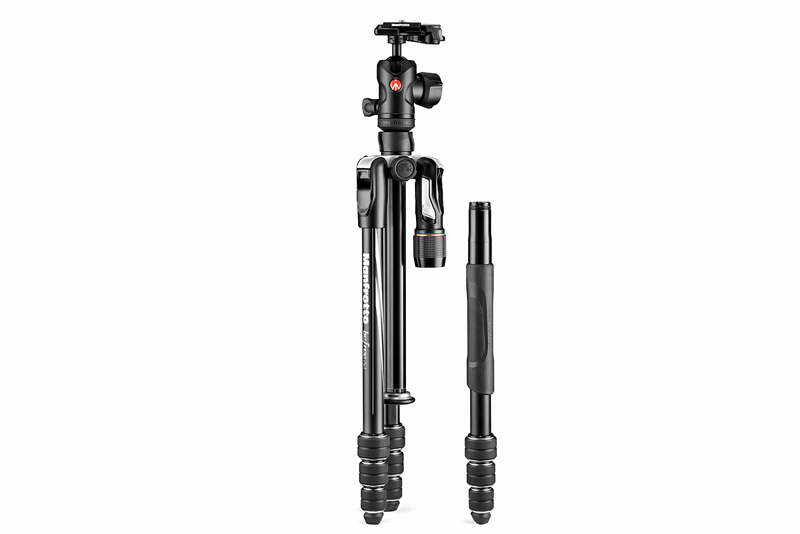 The Manfrotto Befree 2N1 is a tripod that converts to a monopod in a few steps. The company says that a new locking system allows the system to remain sturdy as both a tripod and monopod. The tripod converts to a monopod by twisting off one leg and locking into the center column for use as a monopod. The Befree 2N1 will have two versions, one with twist locks and one with lever locks. The convertible tripod will be available later this month at a retail price of $ 220. The company also announced that the new Befree Live tripod designed for video will also be launching with a lever lock option. Cosyspeed wants to launch camera bags for … smartphones? Most camera bags are dedicated to stashing larger gear and accessories, but what about smartphone photographers? Cosyspeed’s Phoneslinger bags are designed for the smartphone photographer with a place to stash add-on lenses and even wirelessly charging your smartphone on the go. The company says the line is the first bags designed specifically for smartphone photography and videography. The line comes includes three different options, all that can be worn on a belt the strap of another bag or with Cosyspeed’s modular belt system. The Phoneslinger Power includes a wireless power bank to charge your phone while it’s stashed in the bag. Phonesligher Prime is designed to hold a smartphone and up to four smartphone lenses, while the Phoneslinger Outdoor is constructed from a rugged material. The bags can also be added to the Flowbelt Modular Belt system along with other existing Cosyspeed bags. The company aims to launch the smartphone photography bags on Indiegogo, where there are two months left to raise $ 25,000. The smartphone bags start at $ 39 with accessories starting at $ 16 — if the crowdfunding is successful. After funding on Kickstarter, Moment now has iPhone cases designed both for the company’s lenses as well as wireless charging. Compatible with the iPhone X and XS with options for the XS Max and XR expected out later this month, the case also has a two-stage shutter release. That shutter button means the camera shoots similar to a DSLR with a half press to focus and a full press to shoot, a feature in Moment’s new camera app. Sigma’s cinema lens family just got a bit bigger — this week, Sigma announced the 28mm T1.5, the 40mm T1.5, and the 105mm T1.5. All three lenses are designed for 6K and 8K resolution, Sigma says. The update brings the total lens count for the cinema line to 10, with options in PL, Canon EF and Sony E mounts. The 105mm is slated to arrive first next month, with the 40mm to follow before the end of the year and the 28mm early next year. Prices haven’t yet been announced.